The ginger tom was driven for around 60 miles before a the poor moggy was found inside when the van arrived in Reading. The cat, estimated to be one-year-old and nicknamed Sparky, is thought to have climbed into the hiding place before the van left the White Hart Lane area of Tottenham. Speaking to the Evening Standard, passer-by Darren Sumner recalled seeing the van broken down on London Road, Reading, on Sunday 28 August. He said: "I was shocked when I saw the cat. He was sitting behind the heater matrix, I felt his paws and they were boiling hot." It took Mr Sumner around half an hour to coax Sparky to come out as he was so scared. He said: "He's a lovely cat. He used a litter tray so I think he's probably someone's pet. "He woke me up at about 3am in the morning for a play. I hope his owners can be found." 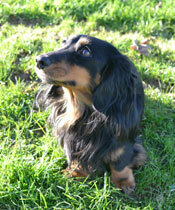 The RSPCA is now caring for Sparky and trying to reunite him with his owners. Helena Peace, from the RSPCA, said: "It's amazing that Sparky survived his journey, it must have been terrifying for him." Sparky has certainly used up one of his nine lives, she told the Evening Standard, adding that although he is traumatised he is physically unhurt . She said: "We think he's about a year old. He's extremely friendly and loves to climb up onto your chest for fuss. "It would be great to reunite him with his owners, they must be worried sick about him."